The Gujarat Lokrakshak Bharti Board is initiating a recruitment for 6189 posts of Constable, Jail Sepoy, Matron and other posts in Gujarat Police Department. The board has announced the recruitment for these posts in August 2018. 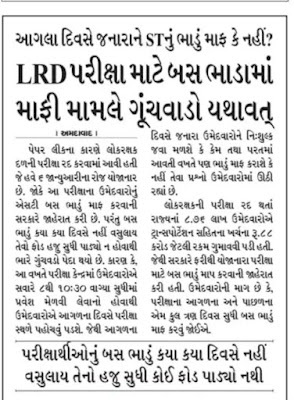 After the completion of application submission process, the board will announce the exam date for LRB Gujarat Police Bharti. 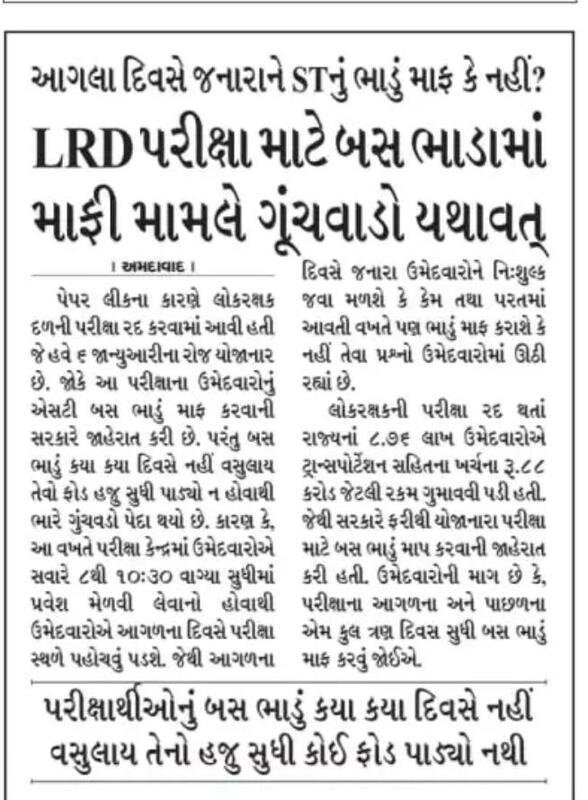 Candidates will get their Gujarat Police Call Letter/ Lokrakshak Call Letter in online mode from the official website only. Call letters will be released 15 days prior to the examination date. 0 Comments "LRD EXAM MA BUS TICKET MAMLE GUNCHVALO"